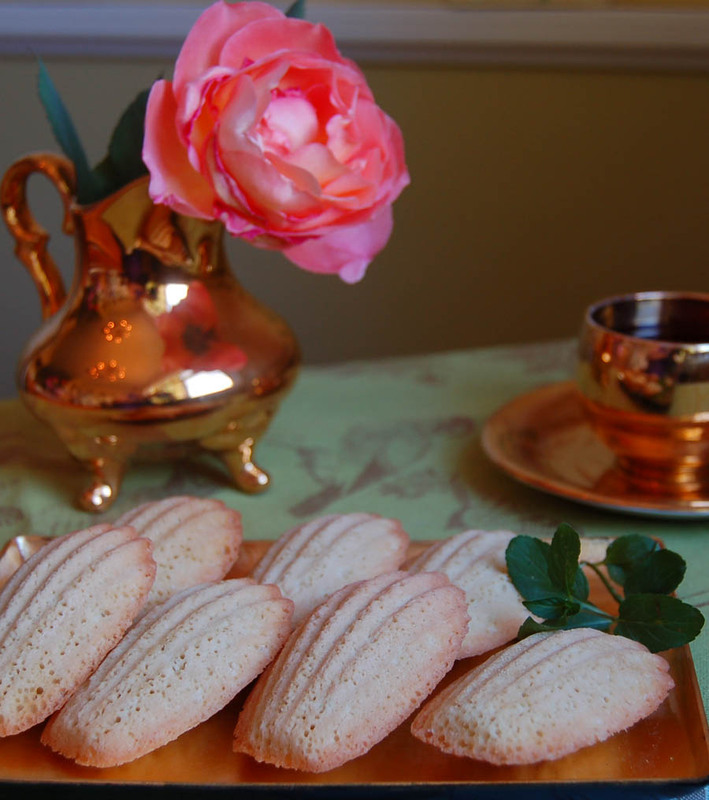 Well who wouldn’t want to have a Madeleine after reading that! 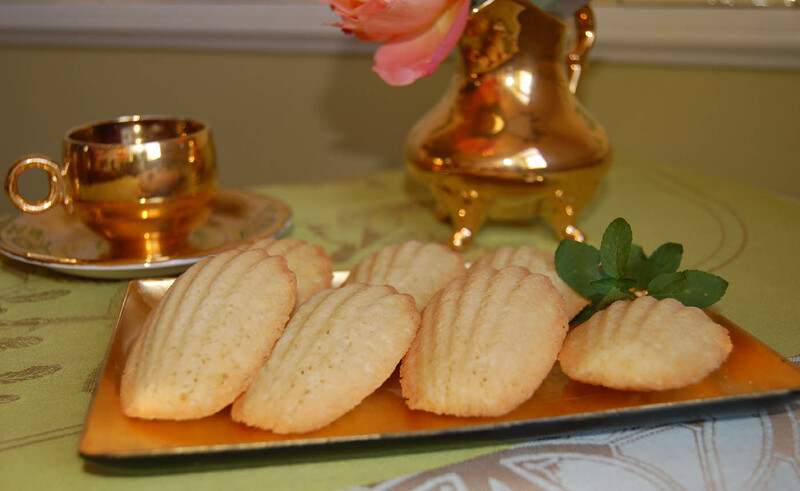 This wonderful recipe is inspired by my Mom’s cookies that she surprised us with last week. They are very simple to make, in one bowl and in 25 minutes you can have a warm stack of cookies to hand out. 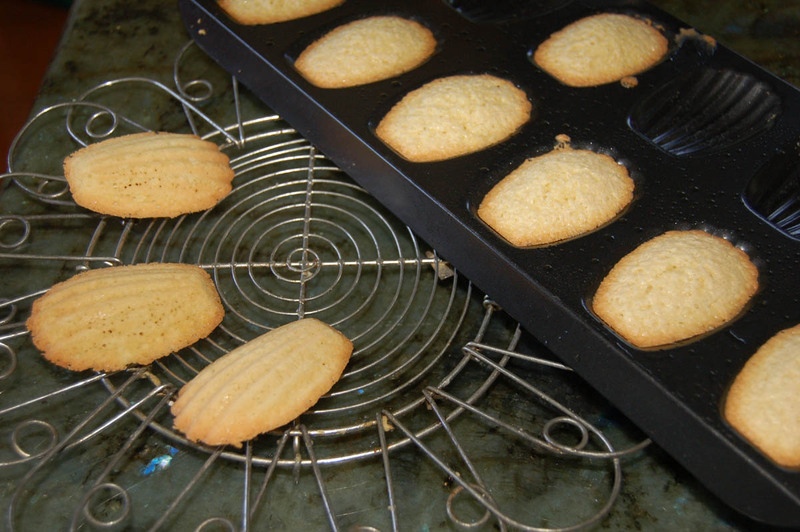 Preheat oven to 325 degrees and spray Madeleine pan ( full size pans have 12 cookie molds, Mini Madeleine pans have more. This recipe makes 12 large cookies. In a medium mixing bowl, whip eggs with sugar for 3-4 minutes. Add in Vanilla and oil and mix well. 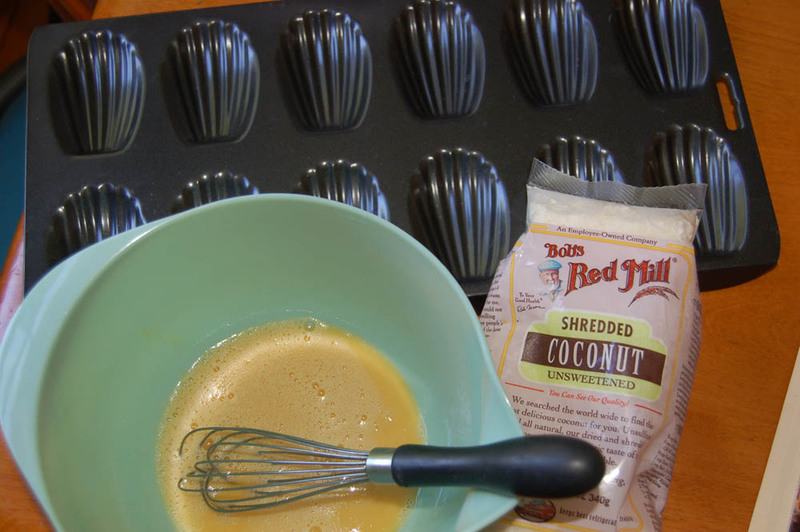 Stir in Coconut and brown rice flour and mix just until fully blended. Spoon batter into the 12 molds on the Madeleine pan. Bake 15-18 minutes until golden brown on top. 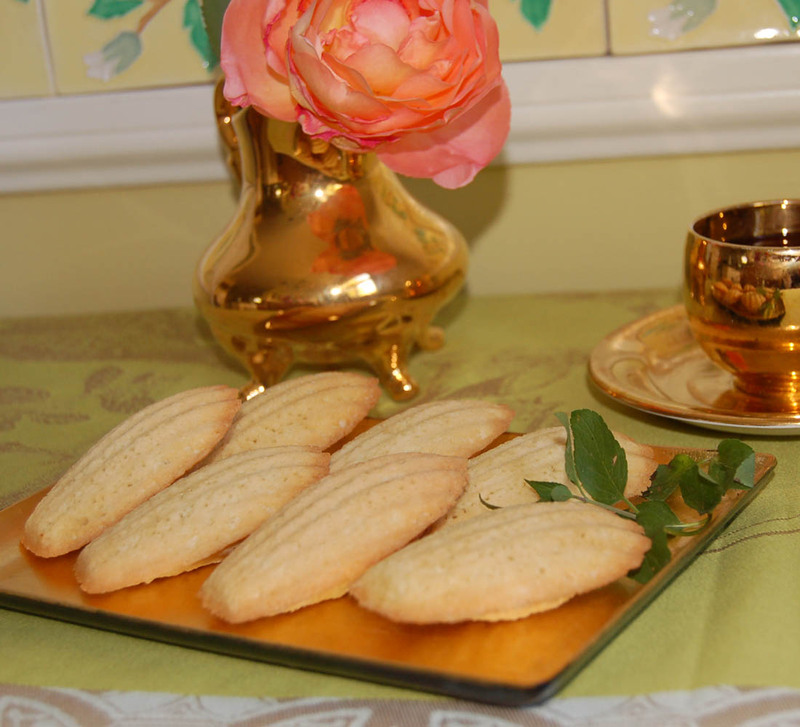 Remove from oven and turn out cookies to cool on rack. Dust with sugar and serve or dip in melted chocolate and let harden for an hour. Your photos are beautiful! 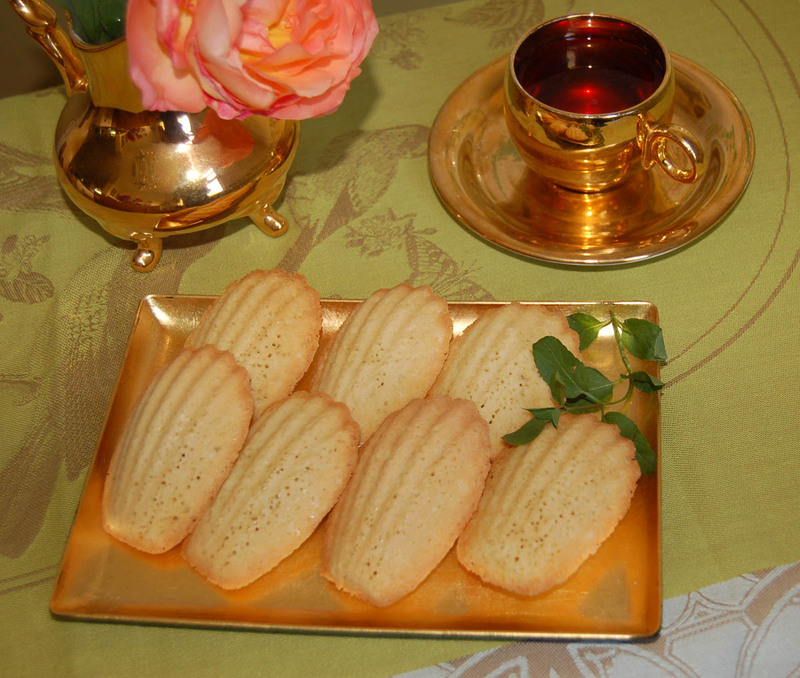 These madeline cookies look so delicious and delicate.